These super soft, velvet effect personalised make up bags, in sage, grey or pink are must have for all glamourous on trend girls. 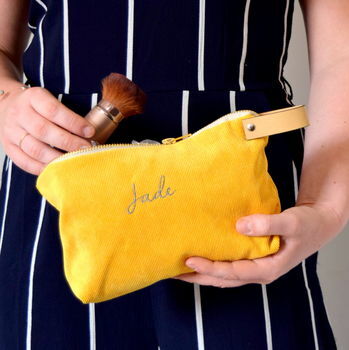 This personalised make up bag has corduroy fabric and can be embroidered with the name of your choice in a constrasting embroidery thread, making this an on trend beauty gift that will be loved by the recipient. The personalised makeup bag has a grab handle and made comes in mint blue or yellow, making it great for your handbag cosmetics bag to use whilst on the go! The personalised toiletry bag also makes a great bridesmaid make up bag for them to use on your big day, especially if you are having a copper or rose gold themed wedding - it is a great way of saying thank you bridesmaid for all their hard work put in to your wedding that they can use on the wedding day and afterwards as well. 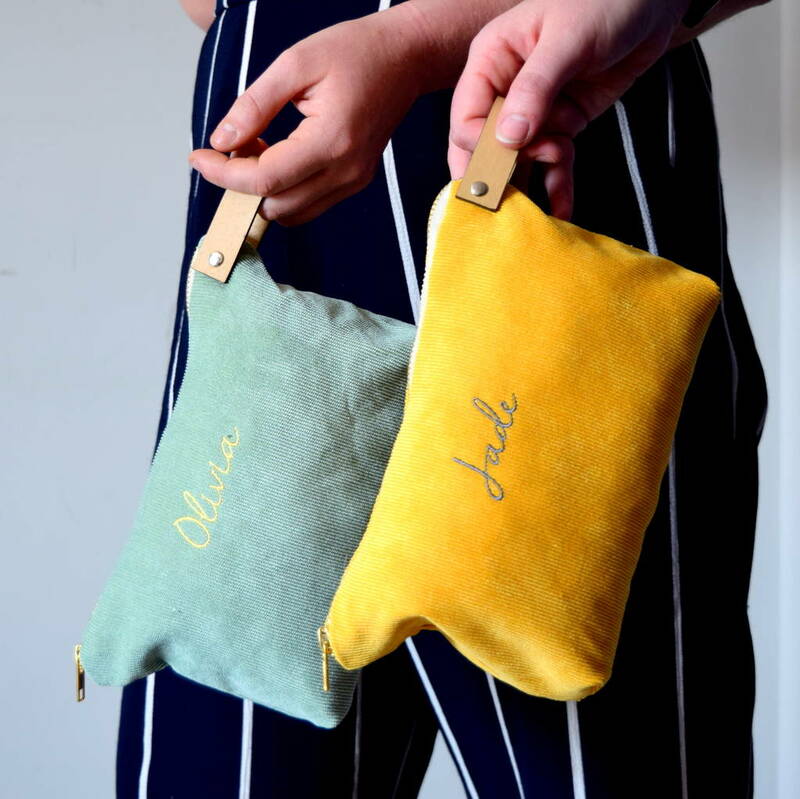 The personalised accessory bag makes a lovely valentines day gift or as a gift for a frequent traveller or for somebody who is about to go on holiday. This personalised make-up bag makes a great stocking filler for christmas or as a mother's day gift. The personalised make up bag is lined.